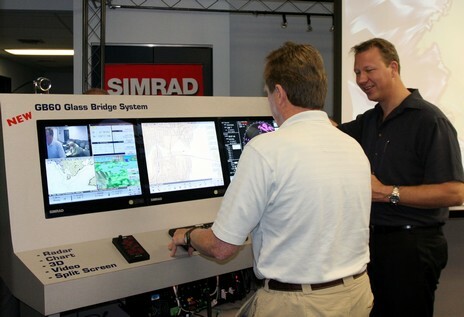 Since my first Simrad Glass Bridge post, the company has posted more information plus an 8 page PDF brochure. That’s where I snipped this hind-end shot of its super-connected black box computer (also here in a larger, unlabeled version). 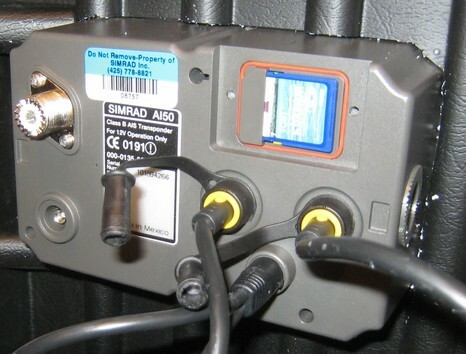 Check out the dual SimNet/NMEA 2000 and four serial ports—no multiplexers needed around here! 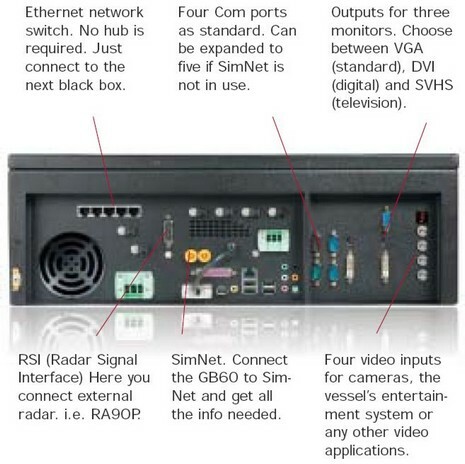 Note too that the GB60 will support up to to two radar scanners (via that built in Ethernet switch) from a wide range especially designed for the system, or can connect to stand alone, even type approved, Simrad radar sets (via the RSI). I understand that Simrad is hoping to demo the GB60 at the NMEA Conference and Ft. Lauderdale Boat Show, both in late Oct. I’ll be at both myself, and look forward to seeing it. I know that megayacht specialists can build systems even more powerful, and Raymarine has its elegant H6, but isn’t this is the new king of really high-end all-from-one-manufacturer systems?